I mentioned in my podcast yesterday about the trouble I had with Siri trying to use it in my car with CarPlay last weekend. First, I tried to get directions to a breakfast restaurant and was offered a barber and something a hundred miles away. Second, I tried to ask Siri to play rock music and got multiple “I don’t understands”. I ask for the same thing on Alexa and I get rock music. I’ve been reading many of the HomePod reviews and they all seem to come to the same conclusion, great sounding speaker that’s not so smart. I use Alexa all the time for asking questions and controlling many of my IoT devices, if I can’t do that with HomePod, it’s not of much use to me. The point of a smart speaker is to be um… smart! I’m sure Apple will eventually get it sorted out, maybe, but I’m not sure they can catch up with Amazon and Google at this point. And now Amazon may be building AI chips for Echo. 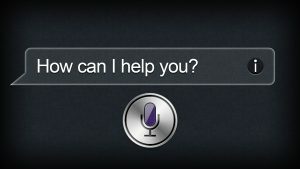 Siri: “How can I help you?”, apparently you can’t. Update: Seems that as additional reviews come out for HomePod, the deficiencies of Siri are coming to the forefront.